F.C., b. 1976 in Jeseník, Czech Rep., educated projectionist, graduated from the Brno Faculty of Fine Arts, Video Studio (Keiko Sei). Has worked as a teacher and assistant at the faculty since 2003. In the second half of the 1990s, he dealt with the theory and practice of non-linear stories and narrations in the digital environment (especially with the paradox of the expression "interactive story") and then with fuzziness, illegibility and omissions as positive phenomena. In his postgradual experiments at the FAMU Centre of Audiovisual Studies in Prague, he is dealing with the topicality of image (vjing) and the creation of live re-edits of refound photographs and sounds resulting in a specific audio-visual revision of recall and imaginariness. In collaboration (mostly with Jiri Havlicek), he has created several short films and animations dealing with rearranging of characters and various language of animation narrativity, a reminiscence to a generation’s experience with fairytale creation and experimental use of audial accompaniment. 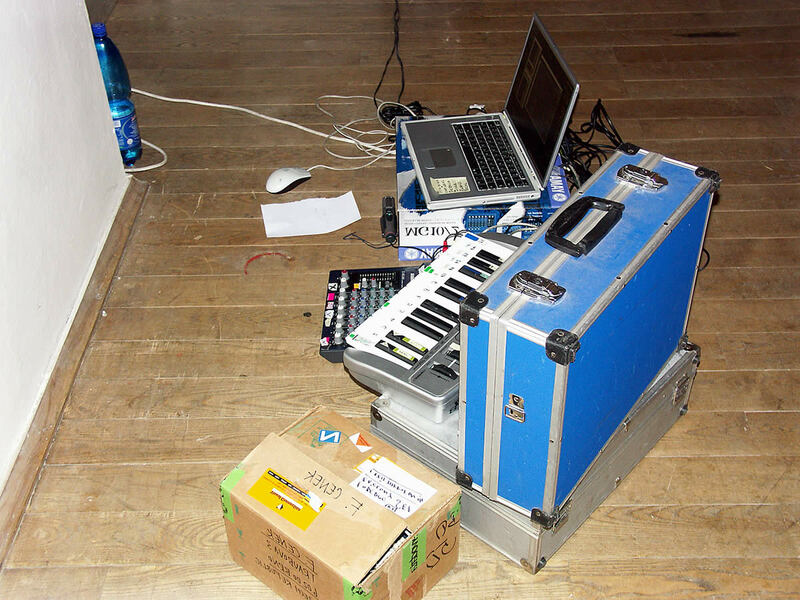 In 2004, he was awarded the Tranzit Developmental Grant for his work in the field of visual media which allowed him to realize "Carpets Curtains" DVD-Video disc (Errant Bodies, Denmark/USA 2006), documenting his cooperation with the musician Ivan Palacký. He is represented in the National Gallery Collection of Modern and Contemporary Art in Prague, the Marek Collection and other foreign video libraries. He has occasionally presented his works at exhibitions of contemporary art and film festivals in the Czech Republic and abroad (Centre Pompidou, Paris; L'immagine leggera, Palermo; EMAF, Osnabruck; Wardrobe, Leeds; Parker`s Box, New York; MNAC, Bucuresti among others). He also makes the visible part of Midi Lidi project (with Magdalena Hruba and Jan Sramek) and works as a co-curator for FreshFilmFest (Theatre Optique section) and NewNew! Festival. "Sometimes I startle myself and do it in such a way as if I started speaking from the middle of a sentence, like when I find out who I am in the morning because I recall that I went to bed before. I feel simply, I trust the twilight, silence, one or two things put aside that have not got swept away. It is not the end yet. Evening draught moved the curtain calmly and showed me something that trickles, something that creases, slightly propelled by sound, and to find a story in it (a way to leave out all accidental) means a step to the side. Black places remain black so that we can see that looking into darkness is different from closing one’s eyes. ... Sometimes I'm startled and do it in such a way as if I was a cinema ticket, torn to pieces..."